An immersion in French countryside and gourmet attitude with two amateur sleuths gumshoeing around French wine country. The Winemaker Detective series delves into the underworld of a global luxury industry, where there’s money, deceit, death, crime, inheritance, jealousy—all the ingredients needed to distill a fine detective series! That and a decent dose of Epicurean enjoyment of fine food and beverage. It follows master winemaker Benjamin Cooker and his sidekick Virgile Lanssien in their adventures solving mysteries in vineyards throughout France and beyond. Each book is a homage to wine and winemakers. The series is being adapted to television in France, attracting an audience of over 4 million. The series is a huge success in France, Belgium and Switzerland. More fun and mayhem for mystery and wine lovers. Barrels at the prestigious grand cru Moniales Haut-Brion wine estate in Bordeaux have been contaminated. Is it negligence or sabotage? Cooker and his assistant Virgile Lanssien search the city and the vineyards for answers, giving readers and inside view of this famous wine region. After Benjamin Cooker’s world gets turned upside down one night in Paris, he retreats to the region around Tours to recover. There, he and his assistant Virgile turn PI to solve two murders and very particular heist. Who stole those bottles of grand cru classé? 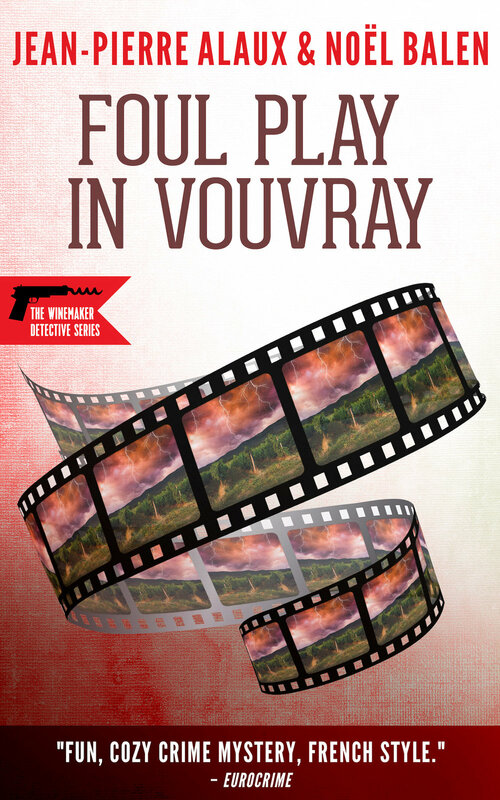 The Winemaker Detective leaves his native Bordeaux for a dream wine tasting trip to Burgundy that turns into a troubling nightmare when he stumbles upon a mystery revolving around messages from another era. What do they mean? What dark secrets from the deep past are haunting the Clos de Vougeot? In a new Winemaker Detective adventure, a serial killer stalks Bordeaux. To understand the wine-related symbolism, the local police call on the famous wine critic Benjamin Cooker. The investigation leads them to the dark hours of France’s history, as the mystery thickens among the once-peaceful vineyards of Pomerol. Summer brings the Winemaker Detective's daughter to Bordeaux, along with a heatwave. Local vintners are on edge, But Benjamin Cooker is focused on solving a mystery that touches him very personally. Along the way he finds out more than he'd like to know about the makings of a grand cru classé wine. The Winemaker Detective heads to Gascony, where a fire has ravaged the warehouse of one of the region's finest Armagnac producers, and a small town holds fiercely onto its secrets. The Winemaker Detective visits a favorite wine shop in Paris and stumbles upon an attempted murder, drawing him into investigation that leads them from the Foreign Legion to the Côte du Rhône. Christmas is in the air, while disaster strikes the vineyards in Alsace. Vintners are tense and old grudges surface. The Winemaker Detective's reputation is on the line as he must find the cause before the late harvest starts. When world-renowned wine expert Benjamin Cooker’s elderly father needs him most, the erudite consultant and his dashing assistant Virgile Lanssien are called away to Burgundy to orchestrate the harvest, where a catastrophic hailstorm endangers some of France’s most celebrated wines and a mysterious murder jeopardizes Cooker's reputation. In the mist-covered hills of Sauternes, where the wine is luscious and the landscape beguiling, the brutal murder of an elderly couple intrigues the wine expert Benjamin Cooker and awakens memories for his dashing assistant Virgile Lanssien. Wine expert Benjamin Cooker and his handsome sidekick Virgile, are shooting a documentary in the Loire Valley, tasting the ebullient flowery wines, noting their boisterous acidity. When a beguiling actress meets with foul play, they rush to the rescue of a dear friend only to find that everyone is a suspect. What intrigue is playing out behind the scenes?